Are you or a loved one suffering from cancer, chronic illness, or mental health issues? How much is it worth for you to have complete freedom, health and empowerment now? Millions of people are re-awakening to the potential, power and benefits of plant medicines. We’re here to provide you with an exceptional conference, a transformative experience and a bridge to a new and empowered way of living. Going into its 4th year, the CHCE is a nature-led solution summit rooted in spirituality and legitimized by science. This year we will be bringing together over 40 international and national speakers, 35 exhibitors, and 6 live workshops for over 700 attendees. We invite you to join us in a safe, integrative, and innovative space this September 28-30th at the University of British Columbia. One where thought leaders and practitioners, patients and their families, business entrepreneurs and government officials, cultivators and geneticists come together to explore the endless benefits of Cannabis. 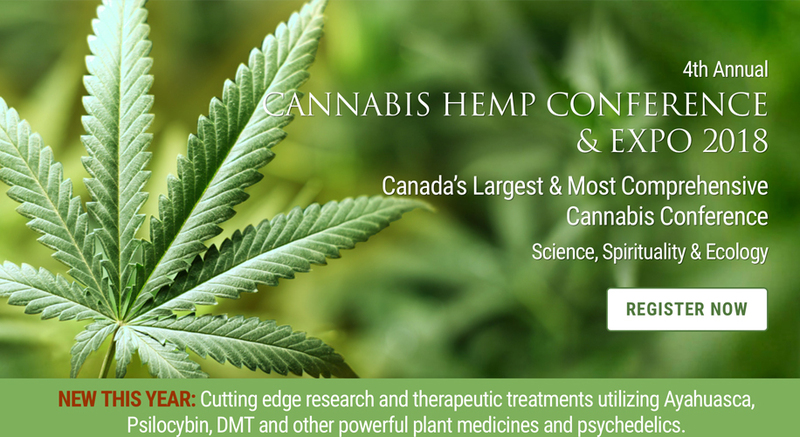 Amidst a healthcare crisis, this year the Cannabis Hemp Conference and Expo will be expanding to include the latest research and cutting edge therapeutic treatments for cancer, chronic illness, MS, Alzheimer’s, insomnia, inflammation, depression, anxiety and trauma utilizing Cannabis, Ayahuasca, Psilocybin Mushrooms, Iboga, MDMA, LSD and DMT. Whether it’s an improvement in mood, sleep, appetite, or mobility, you will see how utilizing Cannabis, as well as other entheogens and psychedelics can improve your emotional, physical, mental and spiritual well-being. Be immersed in two days of an exceptional array of keynote speakers, scientific presentations, panel discussions, musicians, and one day of exhibitors, and 6 informative hands-on workshops such as Cooking and Cannabis, Cannabis Topicals, CBD for Pets, Organic Growing, Cannabis Concentrates, Different Strains for a Variety of Illnesses, plus many samples and giveaways! Join us on September 28-30th, as we each step into our journey of health, peace, happiness and enlightenment.